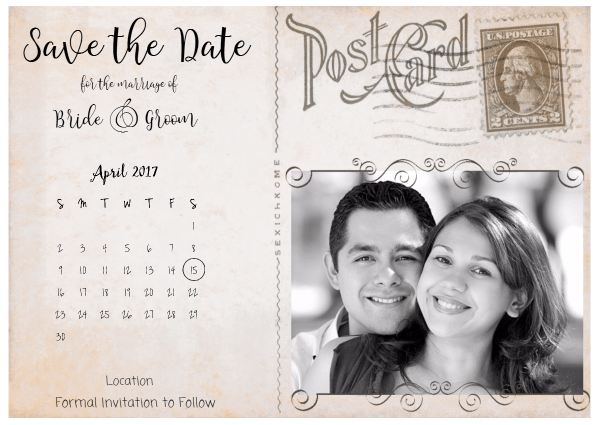 Free custom vintage save the date postcards that can be customized online and printed at home. 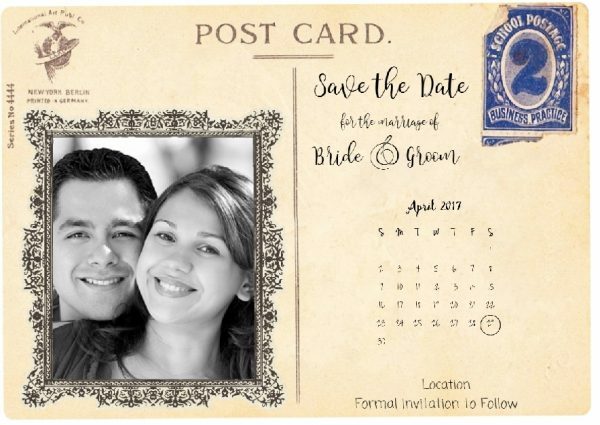 Choose the save the date template that you want to use. 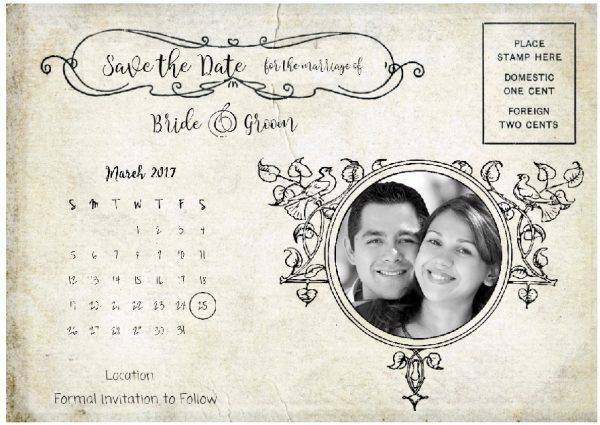 Fill in the name of the bride and groom. Add the location or erase. Edit any text you want to change. To change the date, click on the calendar then click on the folder icon below. 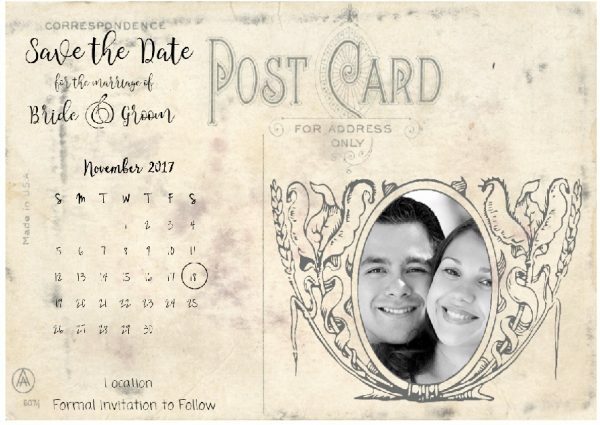 Choose the month of the wedding. 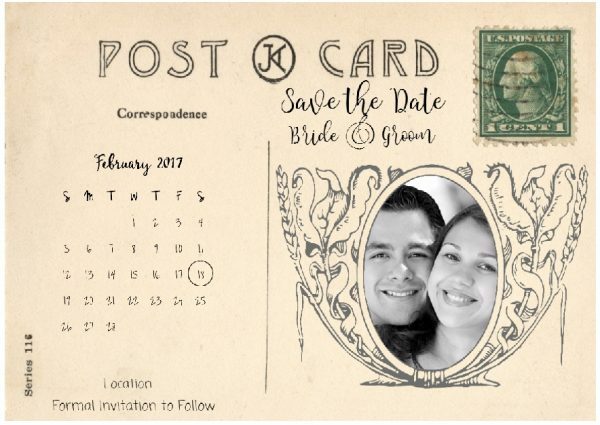 Move the circle to cover the day of the wedding. Download as an image (png) or as a document (PDF).